A shared artist studio and maker space in the heart of the Jewellery Quarter. Dual Works work on their own projects, undertake commissions and enjoy working collaboratively. They specialise in one-off fabrication and undertake commissions to clients' specification, making all kinds of things including exhibition display stands, bespoke storage solutions, interior and workshop fittings and theatre and stage props. They are happy to discuss every aspect of the project from initial idea to end installation. 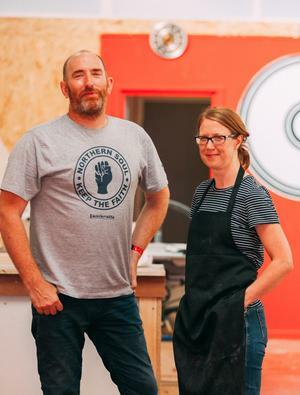 The Dual Works is a shared artist studio and maker space in the heart of the Jewellery Quarter which is run by Zoe Robertson and Stephen Snell, two makers with over fifty years of combined experience. They create their own artistic projects and are happy to work to commission.